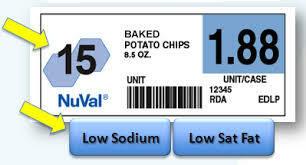 Food Labels: The Worst is Still to Come? “The FDA plans an overhaul of nutrition information on packages to make it more useful for consumers.” The proposals for this much needed update are scary in more ways than one! A Wall Street Journal article (Feb. 16, 2016, A Hunger for Better Food Labels) discloses several food label updates that are under consideration. While we agree that an overhaul is needed, this is also potential for disaster. 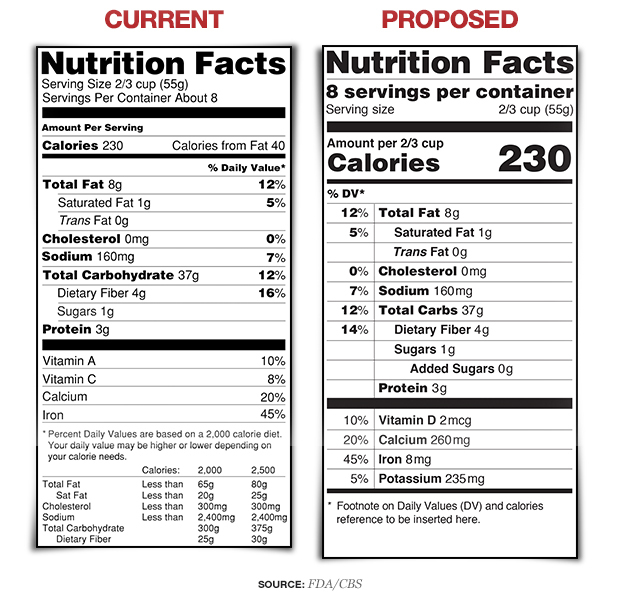 The changes proposed by the FDA include: making the calorie information more prominent, changing the serving size to reflect the bigger portions that people eat, showing added sugar. NUVAL score grades food on a scale of 1 to 100 based on many factors, positive or negative, including protein, calcium, sugar, cholesterol… It replaces the complex label by a single number. Traffic light, developed in the UK, assigns a red yellow or green to the components that are deemed important: fat, saturated fat, sugar and salt. 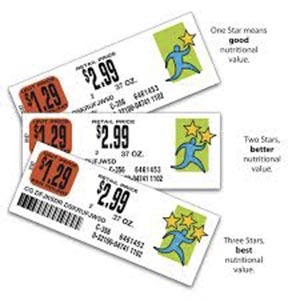 Guiding stars (developed in 2006) assigns 1, 2 or 3 stars to grade the food according to an algorithm that takes into account vitamins, minerals, fibers, sugar, fat, cholesterol. The new FDA proposal for sugar is misleading. It focuses people’s attention on added sugar (when in fact natural sugar is not better than added sugar). This line of thought makes people eat a ton of fruit, not realizing that they are ingesting sugar at the same time and no more vitamins than in vegetables. At first glance, simplified labels are good idea. After all, navigating the maze of nutrition is hard and most people don’t have the time. What’s wrong with helping them save time and effort in buying their groceries? For starters, you’d have to trust the agencies to make the right choice for you. But, as everyone can understand, government recommendations are constrained by many factors other than pure science: practicality, the need to provide a diet affordable to all, politics, business interests, etc. But most importantly, assessing ingredients using simplistic rules will not encourage people to consume a variety of foods. You could eat the same thing day in, day out, and still believe you are getting a “3 star” nutrition. 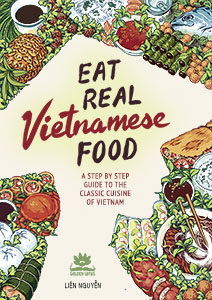 Simplified labels don’t allow us to think for ourselves; since all we have to work with are those silly stars, we cannot rate our food ourselves. This might help a minority but not regular people. By reducing nutritional information to simplistic values, these systems hide the actual contents of the food and prevent people from understanding what they are eating. Nobody will contest that food labels need improving. But the simplistic route is just not the solution. 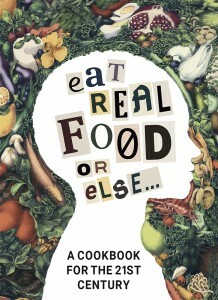 Looking at nutrients on a broad basis and encouraging people to educate themselves about their food is the way to go.